Chili’s adds two new craft burgers featuring grass-fed beef patties to cater to guests seeking natural ingredients who "want to know what's going into their food." In addition to being grass-fed, the patties are antibiotic-free with no added hormones. 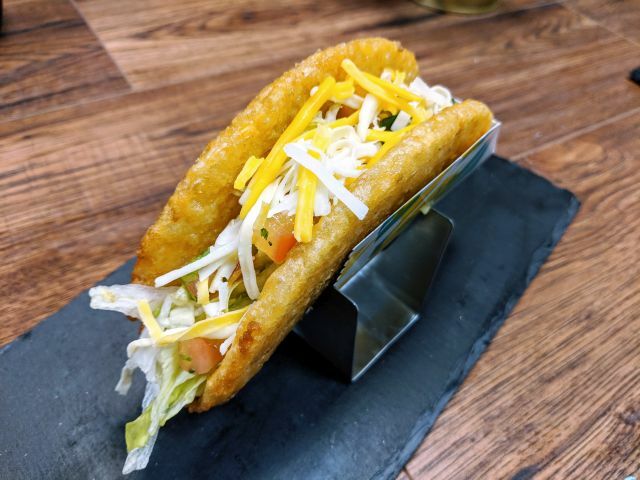 It's available as an option for any craft burger on the menu. 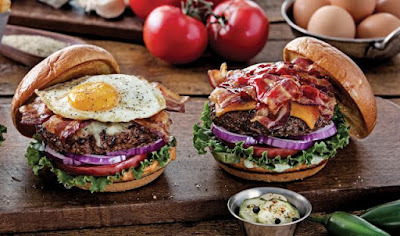 The two new burgers are the Sunrise Burger and Ultimate Bacon Burger. The Sunrise Burger features a cage-free egg, pepper Jack cheese, applewood-smoked bacon, lettuce, red onion, tomato, and Chili's signature sauce. The Ultimate Bacon Burger features a double portion of applewood-smoked bacon, aged cheddar cheese, jalapeno aioli, Buffalo sauce, pickles, lettuce, red onion, tomato, and honey-chipotle sauce. As with the rest of Chili's burgers, they come with house-made garlic dill pickles and homestyle fries on the side.